When social partners vary in their relative value, individuals should theoretically initiate partnerships with conspecifics of the highest value. Here, we tested this prediction in a wild population of spotted hyenas (Crocuta crocuta). Crocuta live in complex, fission–fusion societies structured by dominance hierarchies in which individuals vary greatly in their value as social companions. Because patterns of association among Crocuta reflect social preferences, we calculated association indices (AIs) to examine how social rank influences intrasexual partner choice among unrelated adults of both sexes. The highest-ranking individuals were generally most gregarious in both sexes. Females associated most often with dominant and adjacent-ranking females. Females joined subgroups based on the presence of particular conspecifics such that subordinates joined focal females at higher rates than did dominants. Dominants benefit from associations with subordinates by enjoying priority of access to resources obtained and defended by multiple group members, but the benefits of these associations to subordinates are unknown. To investigate this, we tested three hypotheses suggesting how subordinates might benefit from rank-related partner choice among unrelated females. 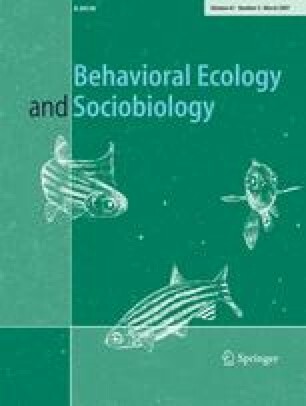 We found that subordinates who initiated group formation benefited by gaining social and feeding tolerance from dominants. However, rates at which dominants provided coalitionary support to subordinates did not vary with AIs. Overall, our data resemble those documenting patterns of association among cercopithecine primates. We consider our results in light of optimal reproductive skew theory, Seyfarth’s rank attractiveness model, and biological market theory. Our data are more consistent with the predictions of Seyfarth’s model and of biological market theory than with those of skew theory. We thank the Office of the President of Kenya and the Kenyan Ministry of Education, Science, and Technology for permission to conduct this research. We also thank the Kenya Wildlife Service, the Narok County Council, and the Senior Warden of the Masai Mara National Reserve for their cooperation. Our research, described in Animal Research Protocol AUF 02/03-033-00, was approved most recently on 4 February 2005 by the All University Committee on Animal Use and Care at Michigan State University (MSU) and complies with the current laws of Kenya. We thank L. Smale for her role in data collection and the following individuals for their assistance in the field: N.E. Berry, E.E. Boydston, S.M. Cooper, S.M. Dloniak, M. Durham, A.L. Engh, J. Friedman, P. Garrett, I. Graham, T.H. Harty, C.I. Katona, K. Nelson, G. Ording, M. Szykman, K. Weibel, S.A. Wahaj, and B. White. Thoughtful suggestions from T. Getty, A.G. McAdam, R.M. Seyfarth, L. Smale, and two anonymous reviewers greatly improved the overall quality of this manuscript. Finally, we thank P.S. Bills, M.L. Fisher, and C.C. Strelioff for assistance extracting data from archived field notes. Our work was supported by NSF grants IBN9630667, IBN9906445, IBN0113170, IBN0343381, and IOB0618022 to K.E.H. and fellowships from MSU to J.E.S.